The shimmering silver Burnished collection by Robert Langford crafts aged effect lacquer with intricate embellishment. 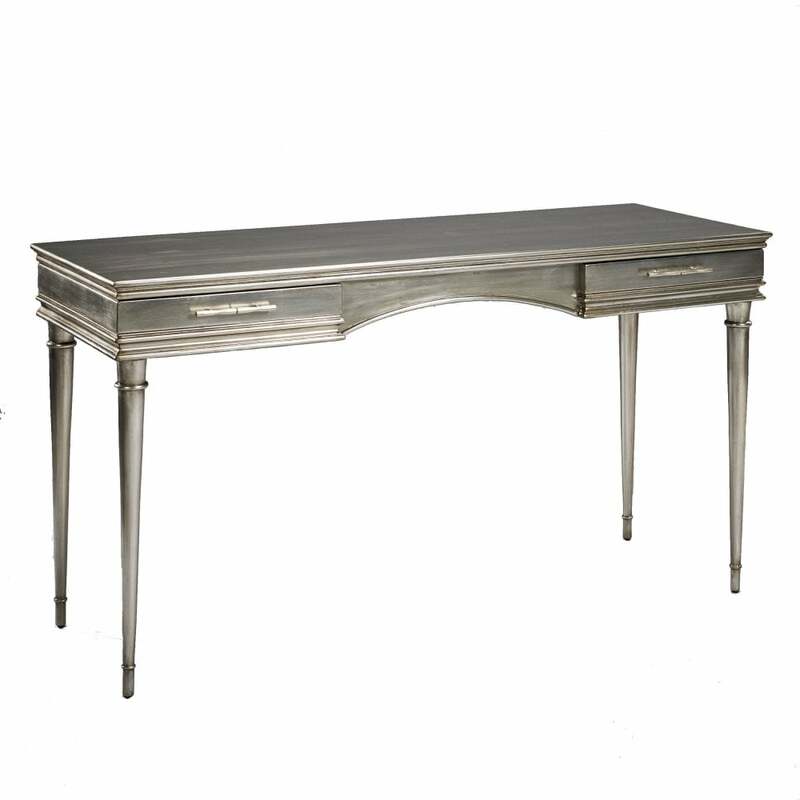 The Anwar Dressing table combines this statement silver finish with linear ridges, outlining the practical yet glamorous storage solution. A signature design feature of the Burnished collection, this intricate detailing highlights the symmetrical beauty of the range. Subtle styling enables the collection to combine versatile storage with an on trend metallic finish. Style the Dressing table with complementary bedroom furniture from the Anwar collection from Robert Langford.